Herbert Smith Freehills, a leading global law firm with 35 years' heritage in Hong Kong, is very proud to be sponsor of HKU Sandy Bay RFC. We provide legal expertise on Greater China's dynamic business environment to Asian and international clients from our long-established offices in Beijing, Hong Kong and Shanghai, and globally through our wider network of 27 offices around the world. Segantii is proud to be a new sponsor of the HKU Sandy Bay RFC. We are excited by this opportunity to be a part of the Sandy Bay rugby family and to foster engagement with the wider community. We wish the players, coaches, organisers and supporters of the Club a successful and enjoyable season ahead. Segantii Capital Management is a hedge fund manager established in Hong Kong in 2007, with offices in Hong Kong and London. St. James’s Place are proud to be sponsoring HKU Sandy Bay RFC and are looking forward to becoming part this friendly and inclusive rugby community. We are a UK based FTSE 100 company with £96.6bn of client funds under management. With offices in Hong Kong, Singapore and across China we are one of Asia’s largest Wealth Managers. Through our dedicated network of advisers - the Partnership - we offer face-to-face wealth management advice, which is tailored to meet your own specific circumstances. FTI Consulting is proud to support the communities in which they operate and are delighted to be a community sponsor of HKU Sandy Bay RFC, which will enable the firm to support the organisation's goals to promote rugby in the region and work closely with local Hong Kong schools using sport to further children’s development. FTI Consulting is an independent global business advisory firm dedicated to helping organisations manage change, mitigate risk and resolve disputes: financial, legal, operational, political & regulatory, reputational and transactional. We work with law firms, banks, funds and corporates in high-stakes opportunities, complex situations and risks, helping clients navigate challenges and achieve the best possible outcomes. We have more than 4,700 professionals across 27 countries, and 550 experts in the region. Each of our practices is a leader in its specific field, staffed with experts recognised for the depth of their knowledge and a track record of making an impact in their industry. Our clients want a law firm they can trust, one that stands out for a commitment to investing in them and empowering our teams. We want to stand out for our distinctive Linklaters mind-set so our clients want to work with us above all others. Delivering excellent client service and using our global capabilities to help them pursue the right opportunities means they benefit from long and lasting relationships. To put clients at the heart of all we do, we recruit and develop exceptional people empowering them to do and think differently. We serve our clients as a team, with a common focus on innovation, efficiency and agility. At SDL we believe in supporting work-life balance as part of healthy living, particularly for professional women, so we are very proud to sponsor the HKU Sandy Bay RFC Ladies teams. SDL is the leader in multilingual content creation, translation and delivery, with more than 25 years’ experience in the industry and 59 offices around the world. Every day our teams go the extra mile to exceed our clients’ expectations, safeguarding their highly regulated and confidential content, and helping them communicate with confidence in an increasingly complex and interconnected business world. We have a diversified global client base and are the expert language solutions provider in the financial and legal verticals, serving 19/20 of the top banks and 19/20 of the top law firms globally. Allied Pickfords is honoured to be the official logistics sponsor for HKU Sandy Bay RFC. The relationship between Allied Pickfords and HKU Sandy Bay RFC dates back over a decade where we would provide support at the annual end of season party. Even today, our crew still talk about the fantastic vibe and ambiance at those events. So instead of just reminiscing, why not kick it up a notch and truly engage with the club and its community. And what better time to do it than NOW?! We look forward to supporting the club, the players, coaches and the community in making it a fantastic season for all! Allied Pickfords is an award winning Hong Kong moving company, and we are proud to be known as people's Hong Kong movers of choice. We have earned this reputation due to our high standard of customer service and complete range of moving and storage solutions for homes and businesses. 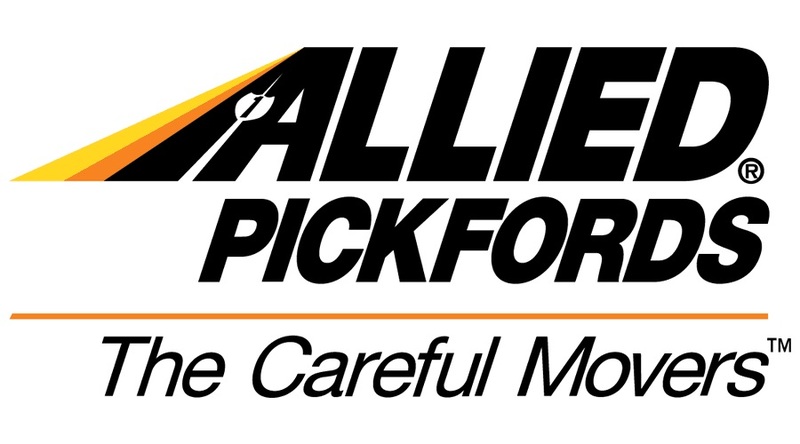 Allied Pickfords Hong Kong offer an outstanding range of moving services to ensure that whether you are moving locally within Hong Kong, or relocating from Hong Kong to anywhere else in the world, our movers have your covered from planning your move to settling in to your new location.